The working environment has become an important factor in wellbeing and it’s something that a lot of companies need to consider more carefully. 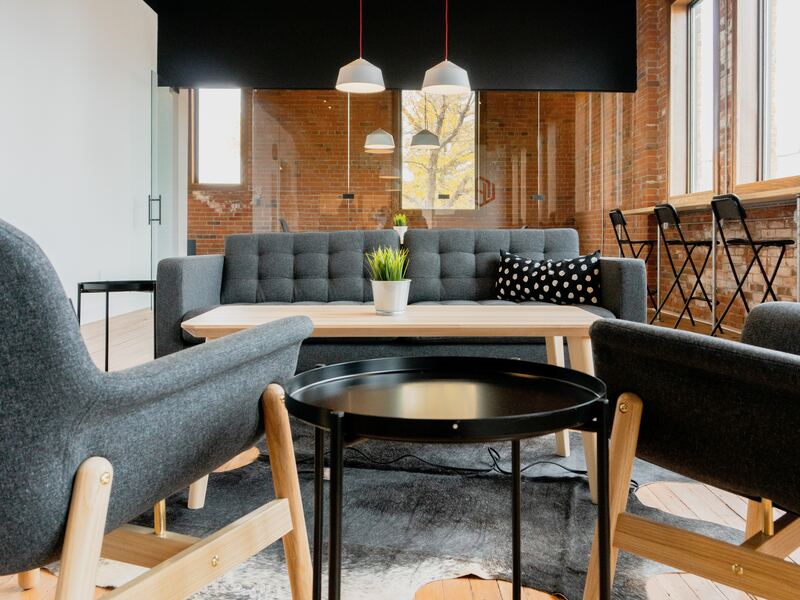 Whether it’s to boost productivity or to encourage a more social working environment, it may be worth thinking about changing the layout of your office space. So, what makes a good office space? There are a whole range of things to consider – from lighting, to desk positioning, through to flexible working strategies. At Making Moves, we’ve put together the key things that we believe are important in creating the best office layout. It’s important to create an office space that your employees actually want to work in. If it’s dark, dingy and cluttered, the chances are you aren’t creating a positive working environment. Access to natural lighting is important for mental and physical health so consider making the most of it when choosing where desks and workspaces will go. Plants are also a good option for your office space; they add a point of interest, as well as having health benefits. One of the things that makes a good office space is a sense of individuality. Big open-plan offices can seem sterile and unfriendly so you could consider breaking up teams with open bookcases; this will also improve the acoustics of the office. Another good tip is to keep your office space on-brand. This helps visitors get a sense of who you are as a company, but it also keeps your team focused on your goals and sense of identity. We believe that the best office layouts are those that carefully consider placement. You know the needs of your company best so use that knowledge when you are organising your teams. Particular teams will need to collaborate and discuss their work more than others, so make sure you place them close to one another to maximise ease and minimise disruption. Similarly, teams who need to focus, or those who are working on confidential items, are best placed away from breakout spaces and communal areas. If you’re in a smaller office, you might already have a sociable atmosphere. However, larger companies can run the risk of losing this sense of community. If you carefully plan the flow around your office, it gives people to chance to move around and get to know one another. It’s also important to have a breakout space that people actually want to use; it should be big enough to encourage social interaction. When you consider what makes a good office space, you might instantly think about the aesthetics or the facilities. However, the most important factor is the happiness of your employees. Having a choice in where and how you work is the most essential element of wellbeing in working life. The office therefore needs to be designed to allow people to move around and have options for different types of work. You might consider agile working, giving people the opportunity to work without a set base. This can be really positive because it encourages agency and mixes up teams. Workplaces also need to cater for the rise of gig economy; with an increase in temporary contracts, it’s important to still ensure that there’s a sense of community and collaboration among employees. While sociable offices are great, they can become overwhelming for people who need a quieter working environment. You should make sure that your employees have somewhere quiet they can go, or consider a flexible working policy so that they can work from home if they need to. Hot desking or agile working is a good option for some, but it can be a source of anxiety for those who prefer stability so it’s important to get feedback from your employees to create the best office layout for them. With the rise in popularity of remote working, people are relying on the office space as a creative and community hub, rather than just a place for work. Employees need to feel supported in the office environment, as well as having agency over how they work. We believe listening to your employees will help you create the best office layout. It will also inspire productivity, encourage socialisation and improve wellbeing. If you’re considering moving office, or you need some guidance on creating the best office environment, get in touch with us.